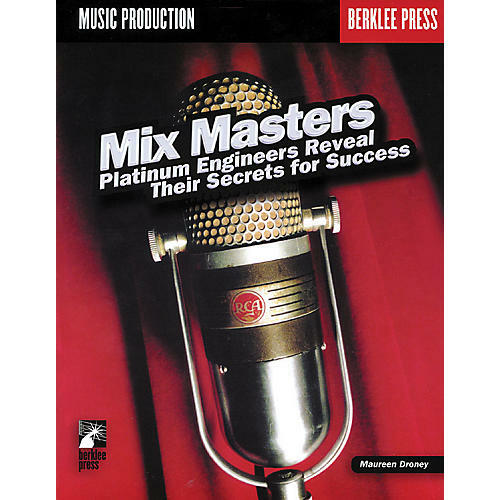 Learn what it takes to be a great audio engineer and make professional mixes with Mix Masters:Platinum Engineers Reveal Their Secrets for Success, a book containing a collection of 27 interviews with platinum engineers. Mix magazine writer Maureen Droney is your guide through the process so you see firsthand how music engineers, using the same arsenal of tools, can create distinct works that vary from artist to artist, even track to track. You'll find practical and informative behind-the-scenes, behind-the-glass insight into the art of sound mixing by the industry's most in-demand engineers across all genres-pop, rock, country, classical, and film. The book covers how to set up a mix that has power and impact, mic placement, how to record and mix multiple vocal tracks, tips and tricks for using effects processors, EQ techniques, and more.